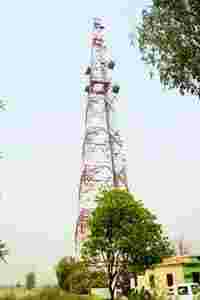 New Delhi: With a committee set up by the country’s department of telecommunications, or DoT, likely to go with the recommendations made by its technical wing last month, Indian telcos may have to serve up to nearly 10 times as many subscribers as they do in some areas before they become eligible for more radio frequency or spectrum. The widely anticipated decision, which will probably be challenged by companies offering services using the GSM technology platform, could mean poor quality of service in crowded areas, especially in large cities where customers complain of increasing call drops and poor voice and data connections. The mandated amount of spectrum per subscriber, which is decided by the topography of an area and the number of customers serviced, has an impact on capital expenditure and the quality of service. In August, while recommending a revision of the subscriber-linked spectrum allocation policy, India’s telecom regulator Trai (Telecom Regulatory Authority of India) had suggested increasing the required number of subscribers for a GSM operator to be eligible for getting more than 10MHz of spectrum from one million to two million in the metros, and from 900,000 to four million in rural areas, or the so-called ‘C’ circles. TEC then tightened that recommendation further, setting the limit at 3.4 million subscribers for 10MHz spectrum in the metros. It also raised the limit for other circles. In the case of Bihar, for instance, TEC recommended that the number be raised from the current 600,000 to 6.4 million. According to a senior DoT official, who did not wish to be identified, “the committee would be endorsing the recommendations of TEC, which proposed almost eightfold hike in subscriber base." In order to examine the technical feasibility of TEC’s proposals, DoT also appointed Bhaskar Ramamurti of Indian Institute of Technology (IIT), Madras, and Ajit Kumar Chaturvedi of IIT Kanpur as expert members of its committee. “The idea was to ensure that nobody questions technical competency of the committee," said the DoT official. The seven-member committee—headed by additional secretary of the department R. Bandopadhyay and with chairman of the wireless planning committee P.K. Garg and head of the Centre for Development of Telematics Vijay Madan as members—has already met several times to hear the views of different stakeholders. Calls made to Bandopadhyay’s office were not returned. Dilip Sahay of the Association of Unified Telecom Service Providers of India, a CDMA industry body, is also one of the members of this committee. CDMA is short for code division multiple access, a rival technology standard to GSM. The Cellular Operators Association of India, or COAI, the industry body of companies using GSM, had pulled out of the committee earlier this month citing lack of transparency in proceedings of the panel. The GSM lobby had previously said it would challenge the findings of the committee, if needed. In an unrelated development, a senior official at DoT, who did not wish to be identified, said the government has processed spectrum applications of Vodafone Essar Ltd, Idea Cellular Ltd and Aircel Cellular Ltd in new service areas. “These operators would be hearing from DoT within (a) few days," he added.